This is a concept sketch for a statue from Selkie’s as-yet-unnamed culture which will show up at some point in the far future. 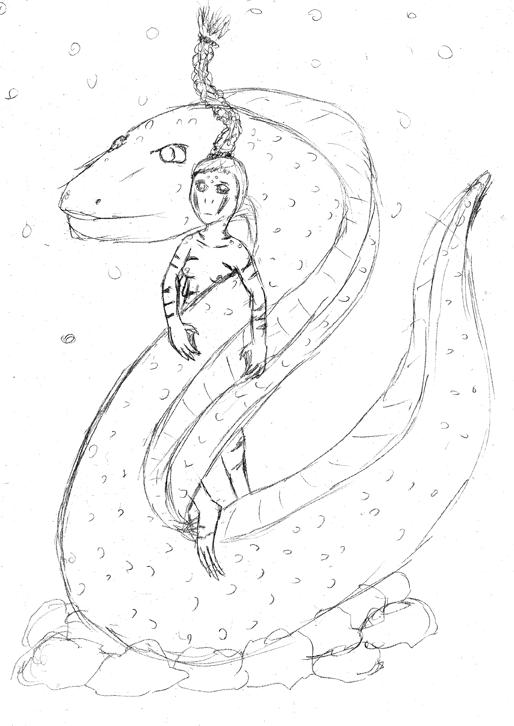 It’s from a fable titled “The Maiden and the Eel Spirit”. I haven’t fully written out the fable yet, but I know it is going to be heavily inspired by one of my favorite and creepiest childhood movies, the Tales from the Darkside segment Lover’s Vow. Dave, I love your artwork! This drawing is so pretty, I’m eager to hear the fable behind the statue. Reminds me of Euronyme and Ophion. There is a Japanese movie called “Kwaiden” That I enjoyed immensely. It is a collection of ancient stories & one of them is the inspiration for the “Lover’s Vow.” Get it and watch it – I can guarantee that you’ll love it. some drafts of what I set around! AAAAANNNNDDDDD there ya go! hope ya all love it more when I’m done………. Yeah, I totally LOVE that segment, Dave! Weee! Another person who watches at least some similar stuff as I do! I LOVE this comic. I was reading a steam-punk anthology and there was a story that sort of reminded me of (a very disturbed) Selkie. The story is “The Cannibal Fiend of Rotherhithe” by Frewin Jones in the collection “Corsets and Clockwork” (ISBN 9780762440924). 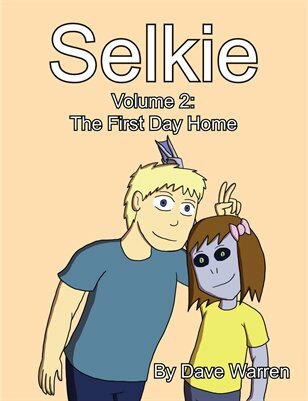 Keep in mind though, especially given the title, that the girl in the story is nowhere near as normal as our Selkie.